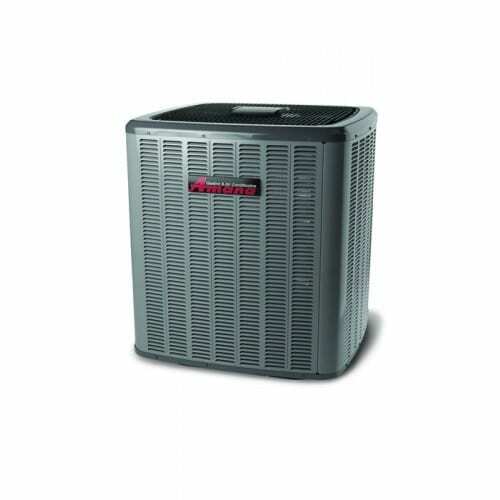 A combination of large rooms, hot summer days and smart pricing leads to a single ask - central air conditioner. Among the many that are available on the market, it may get overwhelming once you start looking for the best brand. There are many brands to list with each of them offering you some unique features. To make this easy we are reviewing one central air conditioner brand at a time. Purchasing a central air conditioner has always been a matter of debate between low price and its cooling ability. Amana is one of those few brands that has built diverse models of central air conditioners, each one offering a unique set of features. It is a mid-range brand that comes with its own set of pros and cons. Amana’s central air conditioner comes with a SEER rating between 13 and 19. It optimizes and controls humidity using a two-stage cooling system. It also has temperature and coil sensors. A limited lifetime warranty is another feature that is included on Amana air conditioners. It can be a helpful factor in deciding whether to purchase one. An Amana compressor comes with a full lifetime warranty. Other components are covered for 10 years which will cover replacement over many seasons. Amana units use R-410A refrigerant. This refrigerant is chlorine-free and increases the unit’s durability and reliability. That makes it more environmentally-friendly than older systems also. Aman’s ComfortNet system coordination and diagnostics are programmed to automatically set up the airflow and all operations. No dip switch or thermostat modifications are required. Your electric bills will be a lot more modest with these ACs. This system monitors and analyzes the entire HVAC system for any irregular conditions. It has a 12- inch display touch screen and large keys that simplify programming. Other features of this technology include dedicated programmable or non-programmable modes, a selectable energy management recovery program and battery backup. Amana ACs are intelligently designed to manage moisture at different capacities. In different weather conditions humidity needs to be managed and these ACs function well with this feature. Most of all, they are all quiet machines with an average noise level of 71 decibels. While Amana tends to be a winner for its pricing too, it has some drawbacks that are important to know before making a purchase decision. As a mid-range brand, Amana also has its own drawbacks. 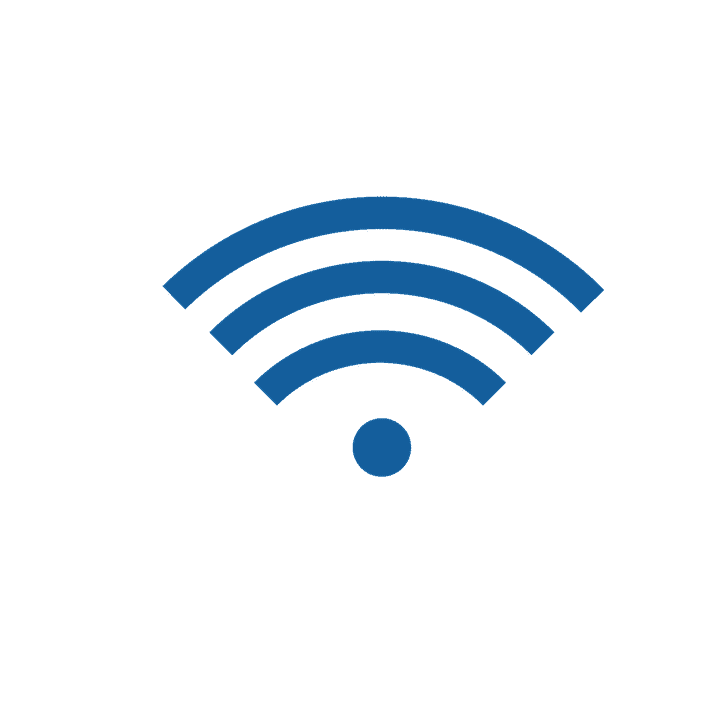 Some Amana models are not Wi-Fi enabled. This feature has been available in certain models only since Amana was purchased by Goodman. Be careful of the model you choose. The replacement parts come from Daikin and not Amana itself. So this is another aspect that you need to watch out for after purchasing the product. Many customers find that installing Amana central ACs is a difficult task. For this, we recommend that you use the services of a professional HVAC technician to avoid mishaps during installation. However, that’s good advice for any central AC unit; they are not generally DIY jobs. Amana is known to manufacture better models every year. We’ve evaluated Amana’s central AC models that have sustained technological advancements. They’ve provided better performance and have been consistently respected by customers. Note that the list that we have shared does not include any models that are directly manufactured by the sister and parent companies Goodman or Daikin. These are exclusive to Amana. The ASX16 is a highly-efficient air conditioner with a SEER ranking of 16. This features Copeland Coresense Diagnostics and a single-speed condenser fan motor. It comes with a cooling capacity of 18,000 to 57,000 BTU. Some of the key features are a high-density foam compressor sound blanket, single-speed ECM condenser fan motor, factory-installed filter drier, factory-installed high- and low-pressure switches. It is covered by a lifetime unit replacement warranty and a 10-year limited warranty on certain parts. It is AHRI Certified and ETL Listed. You can get more information on Amana’s page. The ASXC16 is a split-system air conditioner with a SEER rating up to 17. It has a highly-efficient two-stage scroll compressor and a two-speed PSC condenser fan motor. Its cooling capacity ranges from 24,000 to 60,000 BTUs. The unit is compatible with the ComfortNet communication system which is powered by customized control algorithms. Some of the other features include a factory-installed filter drier, factory-installed high and low-pressure switches, high-density foam compressor sound blanket and Copeland® ComfortAlert™ built-in diagnostics. It comes fully charged for 15’ of tubing length and a color-coded terminal strip for non-communicating set-up. Of course, it is AHRI Certified and ETL Listed. It is covered by a lifetime unit replacement warranty and 10-year limited warranty on some parts. You can check Amana’s product page for more. The ASXC18 is a slightly higher variant of the ASXC16. With a SEER rating of 19 and a two-stage Scroll Compressor, you enjoy gentle cooling and well-l managed temperatures in an efficient manner. Like its little brother, this model is compatible with the ComfortNet™ Communications System. It has a two-speed ECM condenser fan motor. The unit comes with factory-installed sensors that monitor the coil and the ambient temperature. It has a standard Amana 10-year/lifetime warranty. More details can be found in Amana’s product sheet. The AVX20 offers up to 24.5 SEER energy-efficient performance. This unit has the ComfortNet communicating control that offers an abundance of easy-to-use, comfort-enhancing capabilities on its stylish touch-screen LCD display. These include diagnostic indicator lights, seven-segment LED display and fault code storage. It also has advanced diagnostics. The cooling capacity available runs from 23,600 – 53,000 BTUs. This is a split system AC with key features like variable speed, inverter drive and field-installed bi-flow filter drier. A field-selectable boost mode increases compressor speed during unusually high loads. When properly anchored, this unit meets the 2010 Florida Building Code unit integrity requirements for hurricane-type winds. It is covered by Amana’s lifetime unit replacement warranty and 10-year limited warranty on some parts. Find more information on the Amana AVX20 on their website. Amana’s ASX14 is another energy-efficient Split System Air Conditioner with a SEER rating of 15 and a 12.5 EER. Its cooling capacity ranges between 18,000 and 60,000 BTU. This model has an energy-efficient scroll compressor and a single-speed condenser fan motor. Though it has fewer features than other models in the same series, it is preferred because of its price. It is covered by the regular Amana warranty. When it comes time for maintenance, it also has sweat connection service valves with easy access to gauge ports. Both these models come with almost similar features. Again, the difference is that the ASX models are split systems and the ANX are nominal split systems. They come with a cooling capacity between 17,800 and 56,500 BTUs. They also have an energy efficiency capacity up to 14 SEER and 12 EER. They are supported by a single-speed condenser fan motor. They are covered by a 10-year limited warranty on select parts. However, the glaring difference is about the machine’s intelligence. Only the ASX13 includes Copeland® ComfortAlert™ diagnostics that will help you in programming the temperature. That feature is not part of the “N” series. All these Amana products listed here have a few common features appreciated by homeowners. These models are designed acoustically for a quiet performance. They offer a 10-year limited warranty on parts and a few models are covered under lifetime warranty., Amana - and our team at HVAC Training 101 - recommend timely inspection to avoid leaks, rust, rot, soot, frayed wires and corroded electrical contacts. 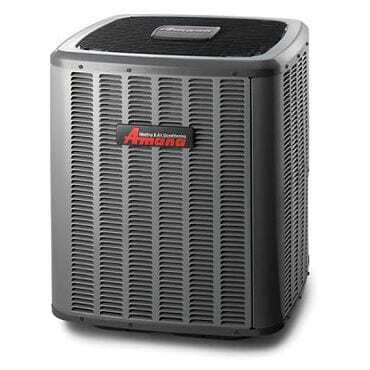 Amana manufactures ACs in the price range between $950 and $3,000. 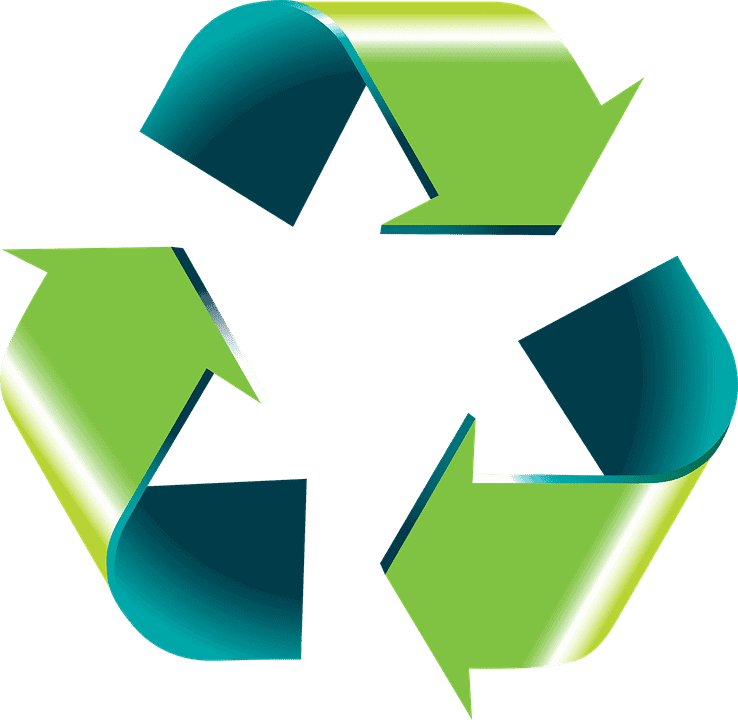 The federal government offers tax rebates and credits for homeowners who choose to purchase an energy efficient appliance. Your AC contractor or local electric company can let you know what’s currently available. Amana air conditioners are available for a certain base price. Like all brands, installation charges will be another cost you need to factor into the price. Most people elect to buy their system through their contractor, but it can also be bought separately. However it’s always good to consult with a reputable contractor first to make sure you’re choosing a unit appropriate for your home. Evaluate the quality of the contractor/ technician before deciding on one option. Ask for previous work testimonies and pick a good quality resource. Typically they are more expensive than a mediocre contractor. Check to see if there are tax credits or rebates in effect. These may change from one tax season to the next. The Department of Energy is the primary source of information. Also, you can check if there are local rebates available. Get at least 3 bids or quotes from qualified contractors. 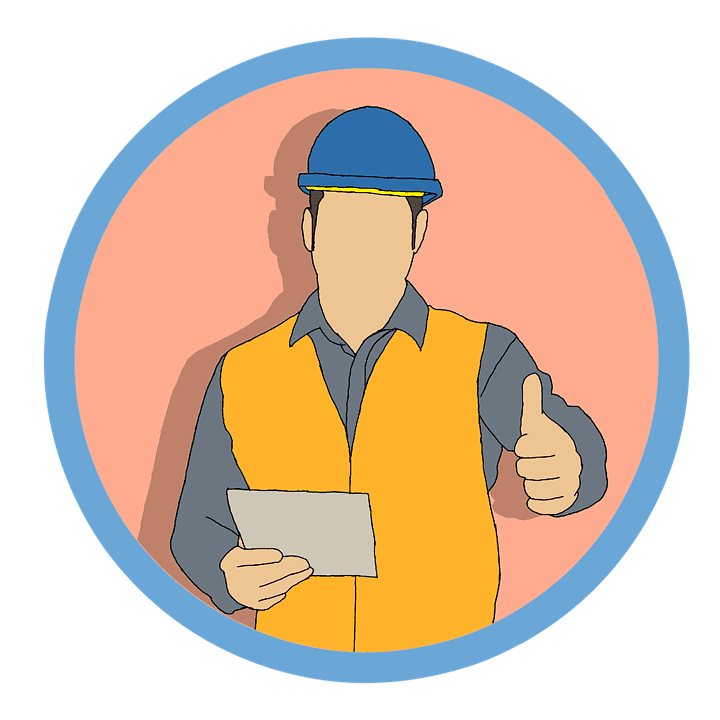 Some sources that will provide background information about a contractor include HVAC Excellence,North American Technician Excellence, the Consumer Affairs Office and the Better Business Bureau. Yelp and Angie’s List are also good sources to check for referrals. Installation costs may not include the cost of some extended parts like a condenser pad, refrigerant lineset, evaporator coil, thermostat and so on. Supplying genuine complementing parts to the AC unit is largely dependant on the skill of the contractor. Invest time researching your contractor and understanding what’s included in their bid, in addition to researching your AC brand. Don’t replace the old model with another unit of the same model. Preferably, use an upgraded model. Be sure to get a written quote for the installation work. A reputable contractor should have no problem providing one. Avoid brand-specific contractors who are loyal to and preach a single brand. Avoid simple telephone bids. Invite them to the house to provide a thorough estimate of installation. Unless the contractor knows your house, they cannot accurately assess your needs. Amana entered the HVAC industry in 1934 with commercial walk-in coolers. It brought in many technological innovations into the industry. The business further spread its wings into manufacturing upright freezers, refrigerators. They started making air conditioners in 1954. Eventually it also manufactured furnaces, ovens, countertop ranges, dishwashers, and clothes washers and dryers. It is now positioned as a brand that offers indoor comfort for residential, commercial and industrial applications. The company was sold to Goodman in 1997 AC and furnace units are still owned by Goodman but home appliances were sold off to Maytag. Goodman is now owned by Daikin Industries. So Amana is a sister brand to Goodman and both are children companies of Daikin. Amana is clearly one of the most-preferred brands in the central air conditioner segment. They offer a great warranty and all the necessary technology for an enjoyable cooling experience within your house. Despite multiple acquisitions of the company, Amana’s line of products still carries its own brand name and has maintained a reputation for quality. On the whole, the customers’ verdict has been that Amana central air conditioners offer great promise and value for its price.